>I dare you. No, wait. I double-dog dare you! 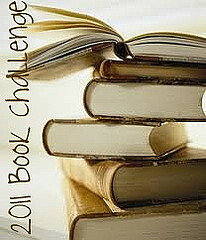 Join me in both of my 2011 Book Challenges! I’ve given a lot of thought to these challenges. They are do-able. And there are two to pick from! We all want to experience the dream of holding our book in our hands. So why not support those who get to have their dream come true? Once a week I will post links to any debut authors to help you in this quest. There’s no limit of books – just do what you can. Keep track on your blog. Take this picture below, post it on your blog somewhere (like I have it on my side link) and link it. Link it to your blog post so you can keep track of it. Make sure you sign up so I can check out your lists and others can follow you too! It’s easy – just click on my link on my sidebar and it will take you to the correct post to sign up 🙂 I dare you. Now this one isn’t too hard at all. How many books can you read in 2011? I’m going for 100 again. 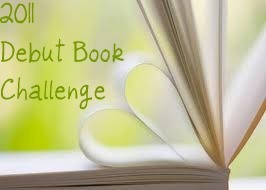 This challenge will include all types of books and in any format – PDF, actual book in your hand, ebook … you name it. Just make sure it’s not a ‘reread’ type of book – no cheating! Every Friday, to correspond with the #fridayreads on twitter – I’ll be posting what book I’m reading and what books I’d recommend – new ones that are out or ones you tell me about! And – same as above. Take my picture from the sidebar of the challenge, post it on your blog. Click my link to fill out the info so we all know who is involved, who to follow ect.